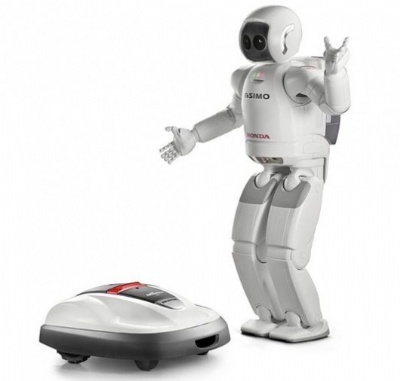 The Honda Miimo HRM520 is one of two robotic lawnmowers that are built by Honda. The idea of the robotic lawnmower is to save you, time money and work throughout the cutting season but constantly running this machine around a boundary area. Once the machine gets tired it reverts back into its charging station to re charge and send itself back out again. The features of the machine include, an anti theft device, height adjuster, powerful electric motors, it can cope with 24-40 degree slopes, has collision sensors and an easy to read LCD screen.